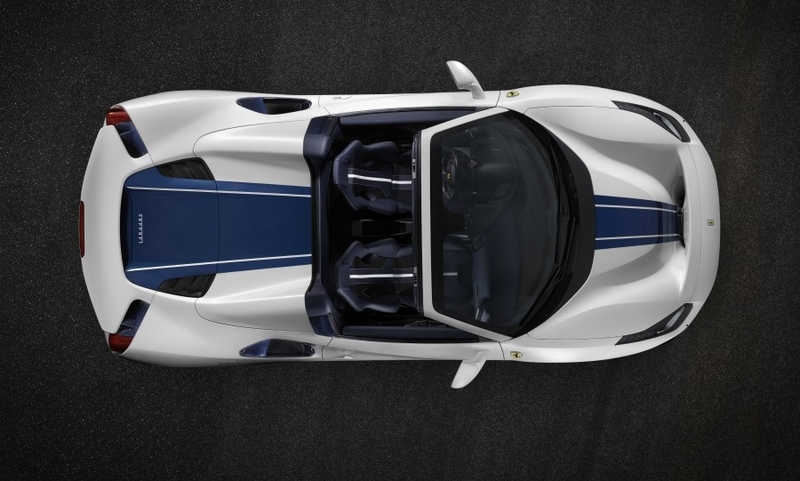 NEW YORK -- Ferrari unveiled its Ferrari 488 Pista Spider at the Pebble Beach Golf Course in California. 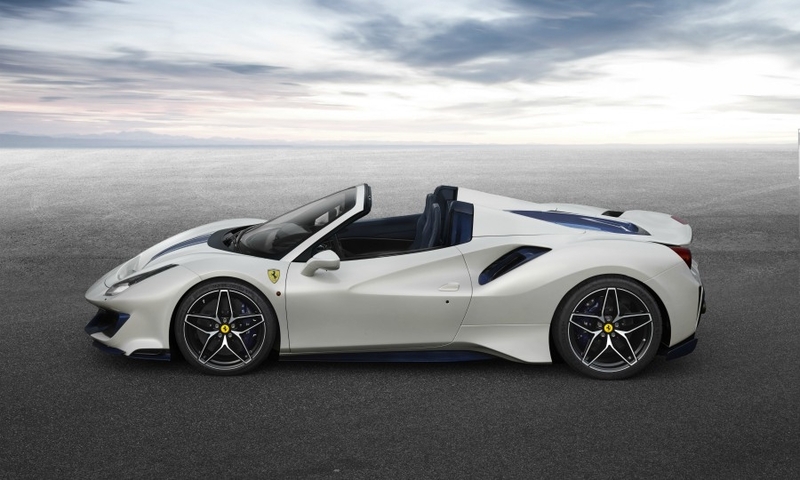 The model is the automaker's most powerful convertible model to date and contains the most powerful Ferrari V-8 engine ever. 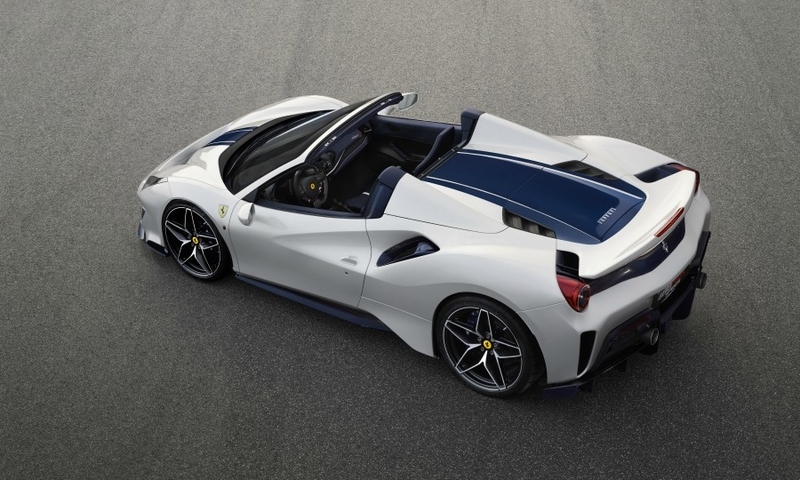 The Spider is the continuation of Ferrari’s top-selling 488 line and comes with a retractable roof. The roof adds 91 kg (200 pounds) to the superlight Pista. 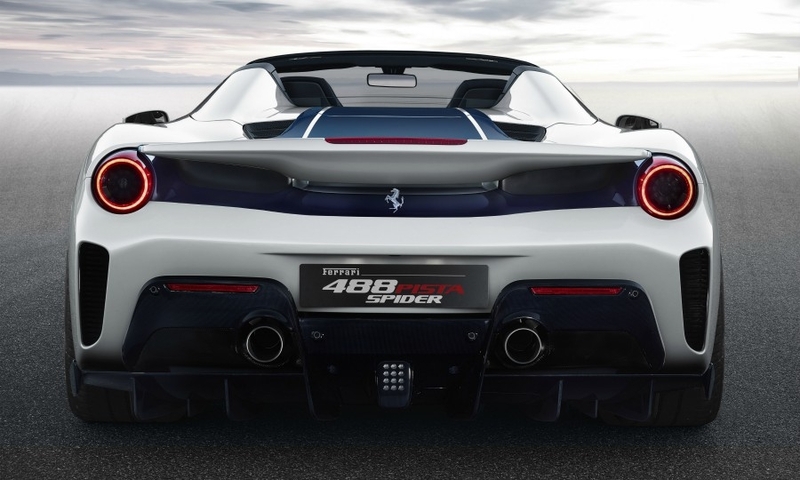 With 720 hp generated with the help of twin-turbos, the car reaches 100 kph (62mph) in 2.8 seconds, with a top speed of 340 kph (211mph). Besides the bold blue racing stripe down the front of the car, the most notable changes to this 488 Pista Spider are its new diamond-finish 20-inch alloy wheels with a novel 10-spoke star-effect and the optional one-piece carbon-fiber wheels that offer a 20-percent weight reduction over the forged alloys that come standard with the car. 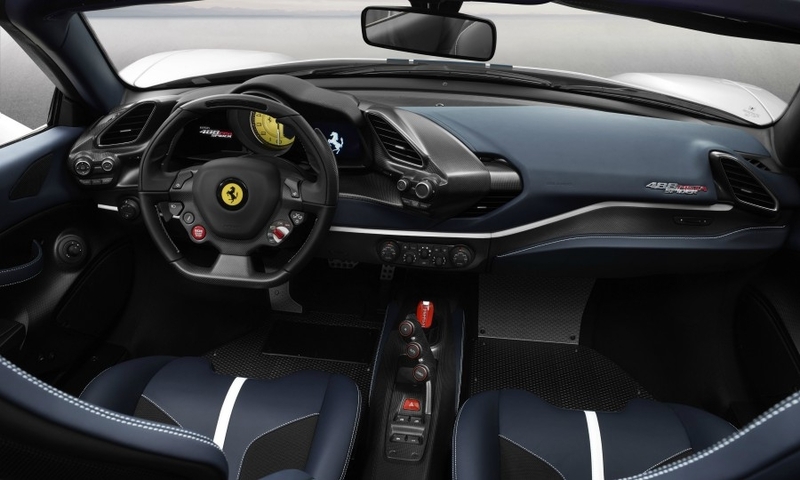 Launch control is provided, as are the dynamic traction control settings. 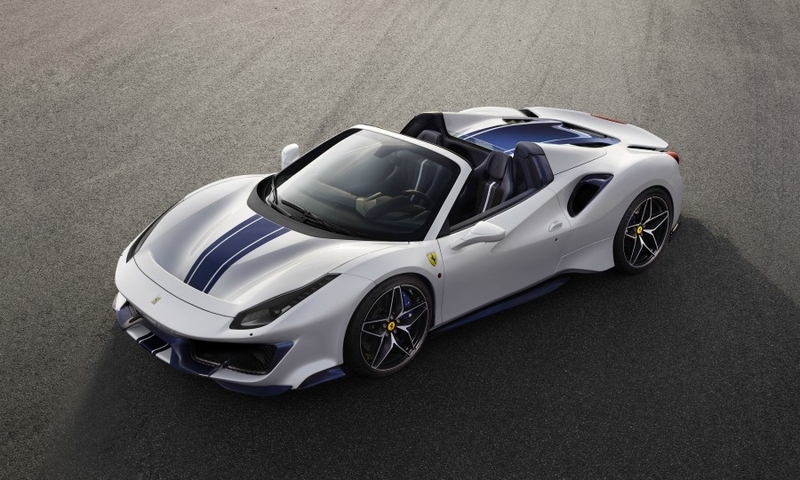 Ferrari executives at the debut said the premiere in the United States was a natural choice given that since the 1950s, North American buyers have always bought higher numbers of "high-performance convertibles" compared to consumers in Europe and the Middle East. Although the pricing has yet to be announced, it’s likely to hit in the high $350,000 range, with orders on the limited run starting now.